CoinPayo is a blockchain-based digital payment platform for the Singapore market. 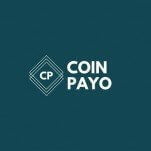 With the CoinPayo platform, users are able to buy, sell or trade any kind of cryptocurrency. Cryptocurrencies can be converted from fiat to crypto or crypto to fiat. Buying and selling is made instant via CryptoPayo's AI architecture. The platform also allows for bill payment. CryptoPayo plans to partner with various agencies like electricity boards, mobile operators and others to ensure that payments can be made directly via their system. Through the CoinPayo platform, one can transfer coins from one wallet address to the other. CoinPayo will provide all the merchants with a unique identification code embedded within the QR code, so that users can transfer the payments by scanning the QR. CryptoPayo will also enable NFC (near-field communication) payments.